Betty, an experienced leader and talent development coach, has held several leadership roles including World Economic Forum Young Global Leader, Global Advisory Technology Leader for Ernst & Young, and Regional Managing Director – Africa for ThoughtWorks. She is currently Managing Partner at The Cobalt Part- ners, an IT advisory firm with offices in Ghana and Nigeria. She oversees the management of a clientele list that runs across Africa, US and Europe. Betty has developed and facilitated leadership training programs for a substantial number of public (such as Nigeria National Petroleum Company) and private sec- tor clients (such as Nestle) and initiatives such as developing the Government of Ghana Outsourcing Sector Curriculum. Betty is a recognised international speaker on leadership topics such as adaptive leadership, leadership in emerging economies, leading in the innovative sector, women in leadership, and more. Betty has spoken at events such as NYU Africa Forum, University of Ghana 2013 Congregation, Agile Australia Keynote, Presi- dent Obama’s 2015 Global Entrepreneurship Summit, Massachusetts Institute of Technology (MIT) MISTI Program, and more. 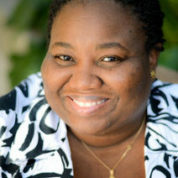 Betty is an advisory board member for a number of American, Ghanaian and Africa organizations including TipHub (Washington DC), Woman 2.1 (US Con- gressional Award holder, Accra), Wired Women (South Africa), Mookh (Nigeria), Facebook Praekelt Foundation Incubator (Silicon Valley, Johannesburg) and more.